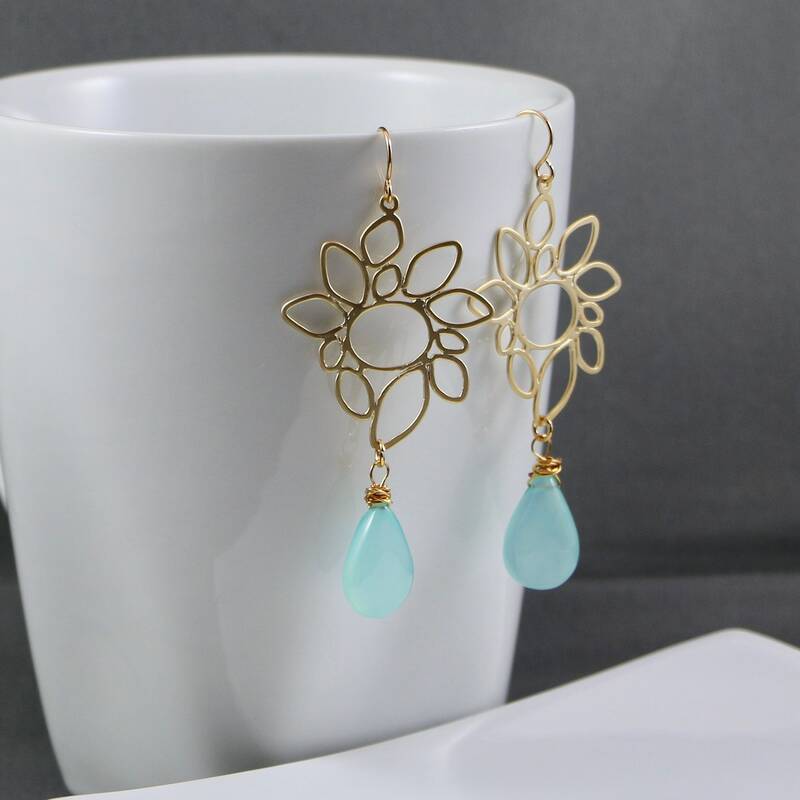 These earrings are simply too stunning to even attempt to explain. 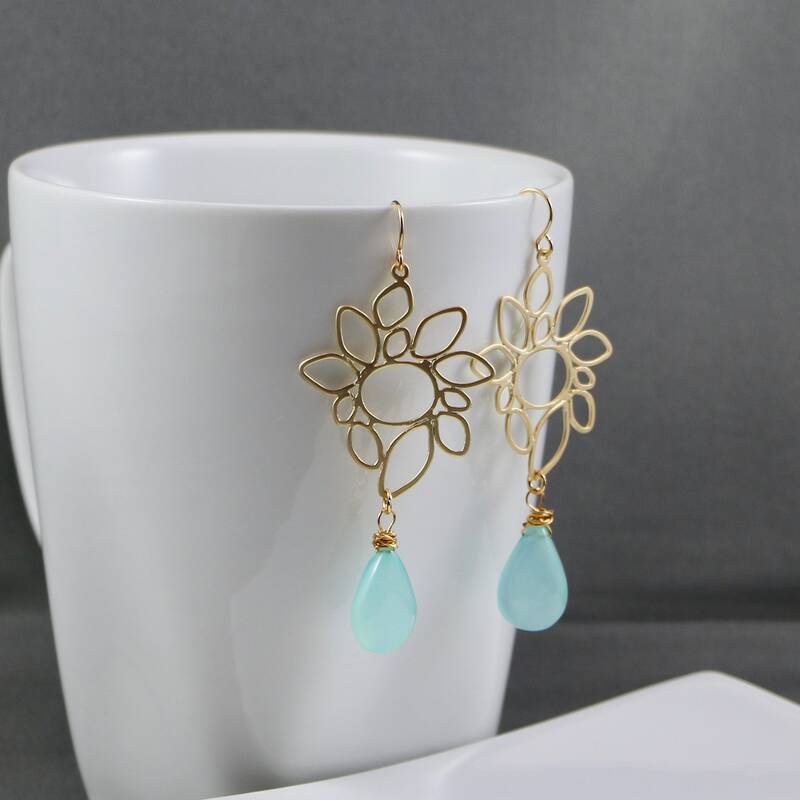 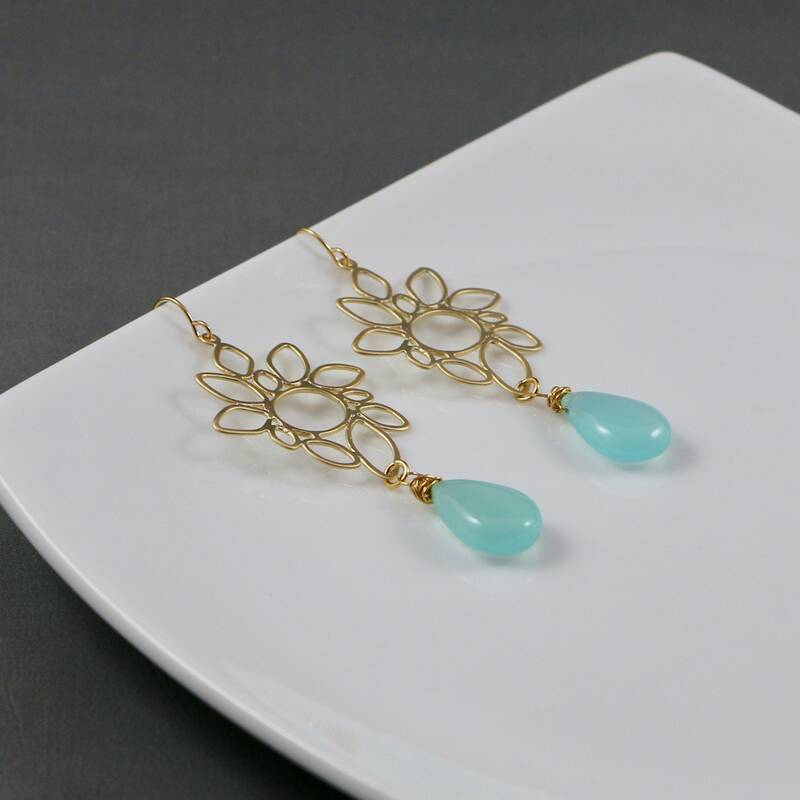 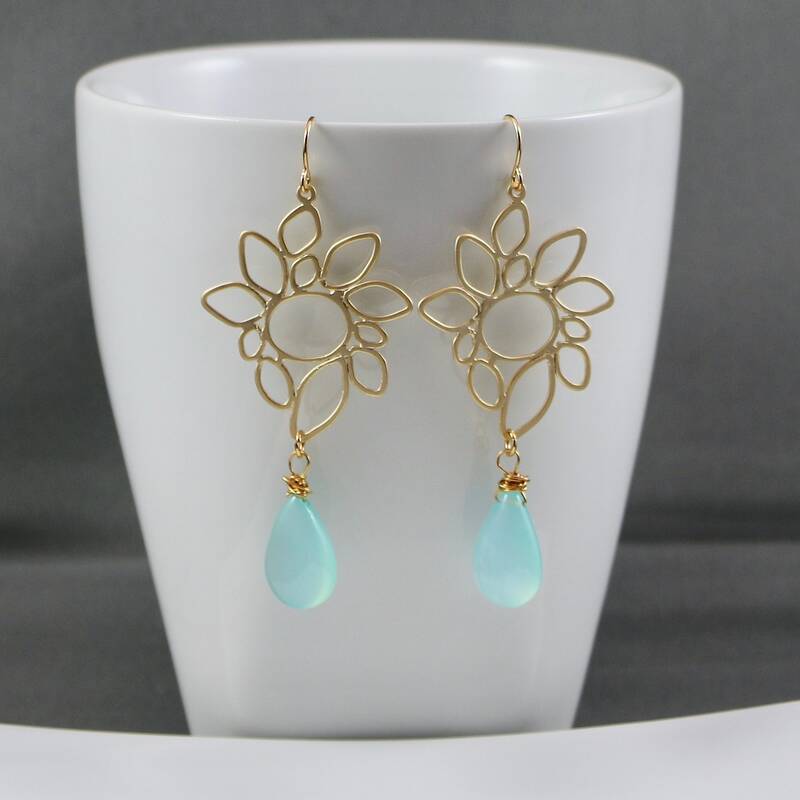 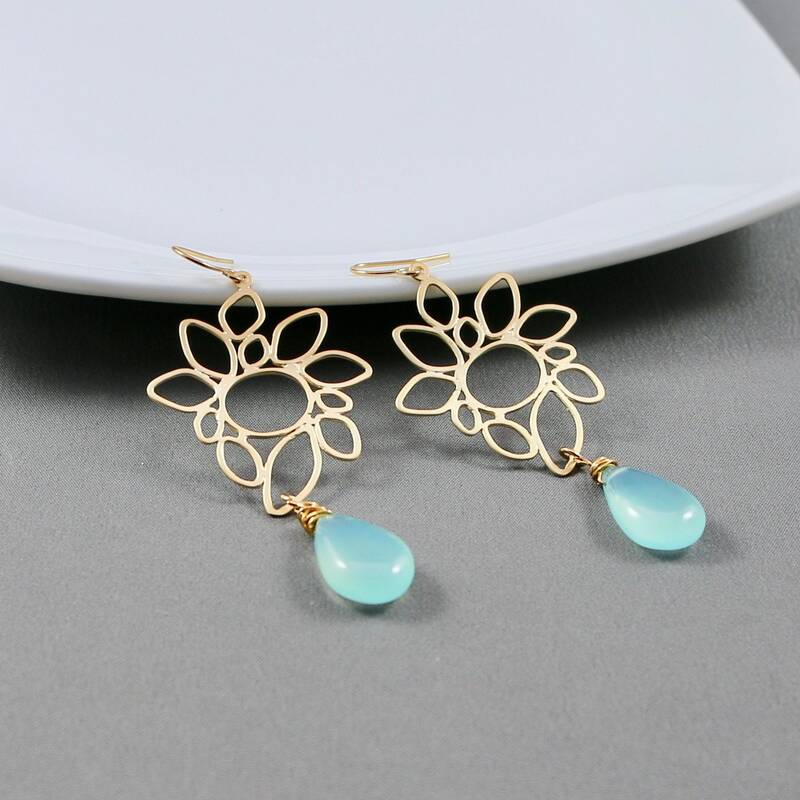 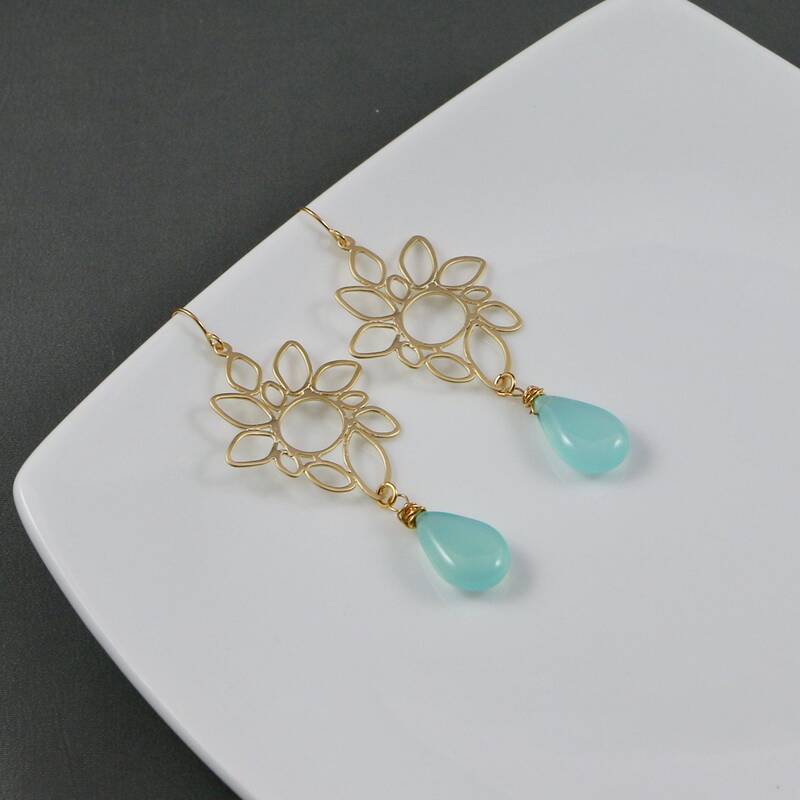 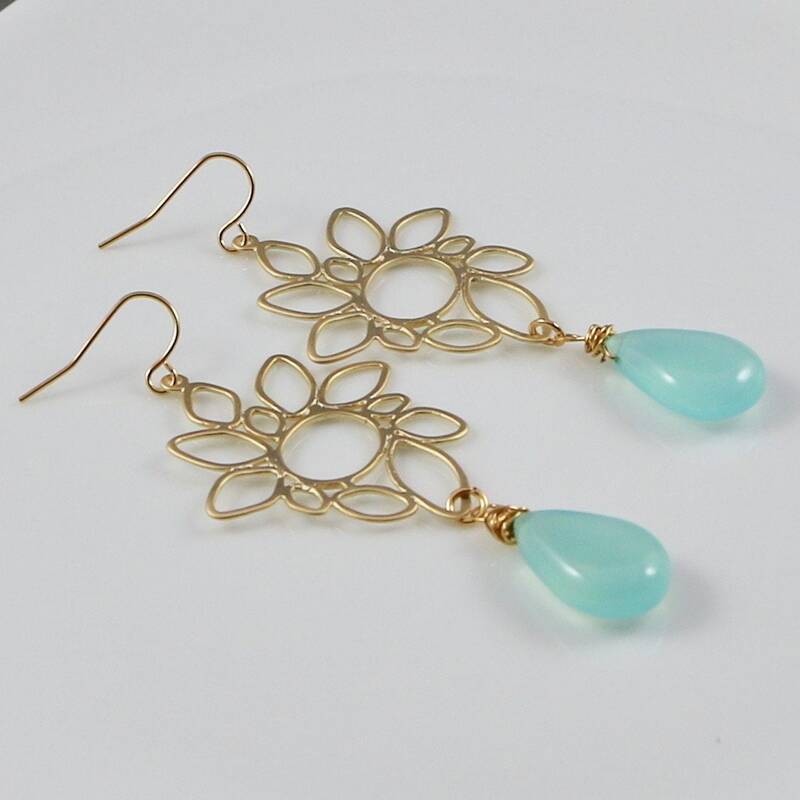 The beautiful cosmic like matte 14kt gold-plated component is simply out of this world and those plump blue-green chalcedony gemstone teardrop...absolutely stunning! 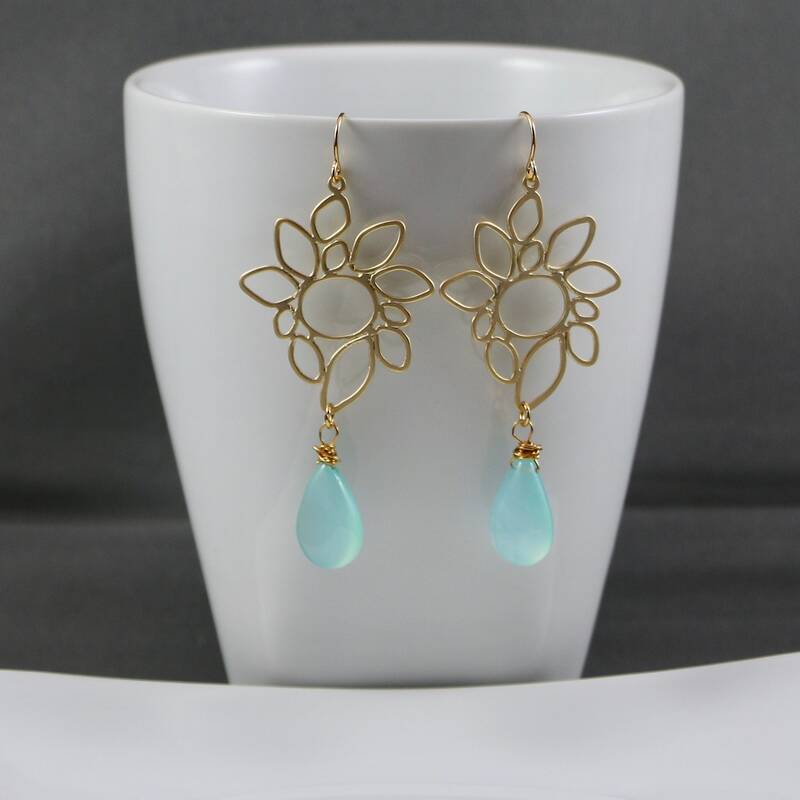 These will be a fabulous addition to any wardrobe and will make you feel like you are in the tropics soaking up some Vitamin D!